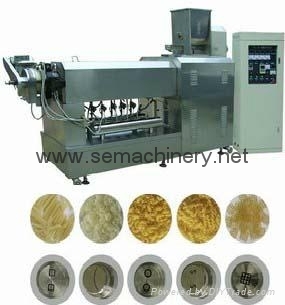 5, types of products: 3D pellet,2d pellet chips etc. 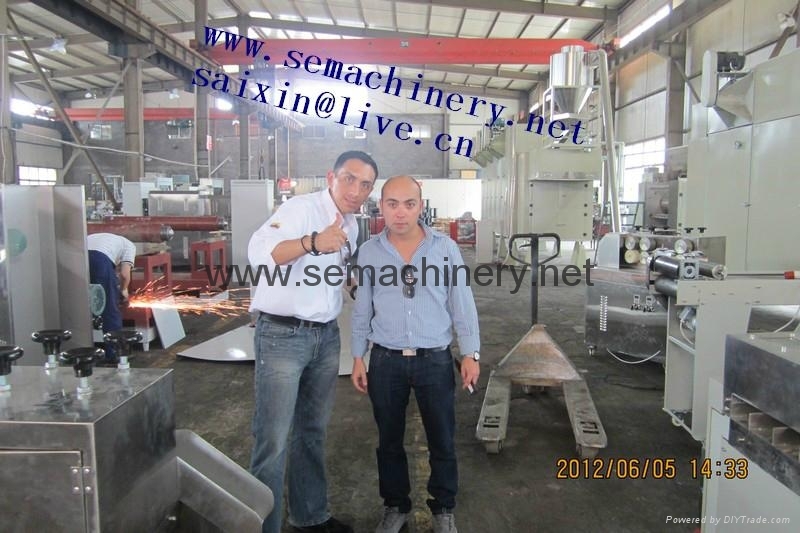 more requrements,mr.peter offer your more details. 2. 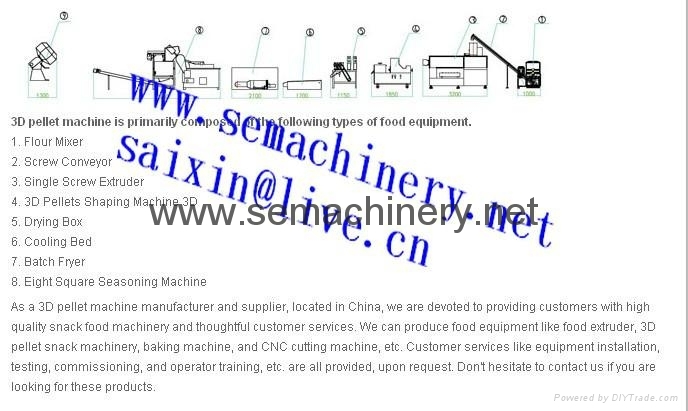 Raw materials: potato starch, corn starch , wheat flour, cassava starch ect. 3. 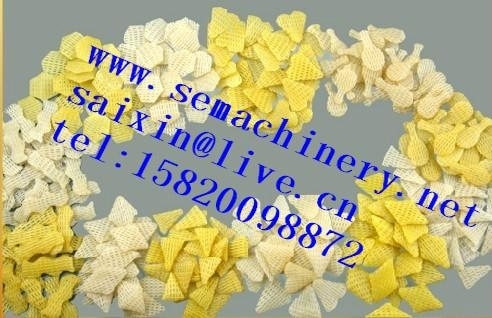 Products: by changing the shaping machine we can produce 3D snack pellet, waved chips, potato chips, shrimp chips and so on. 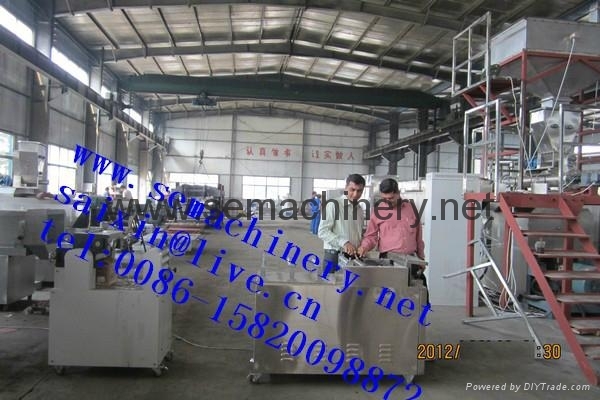 Jinan saixin are leader and professional manufacturer for snack pellet machinery,3d pellet snack machine,jinan saixin snack pellet extruder,saixin machinery snack pellet making machine,snack pellets production line,snack pellet processing line,pellet snack machinery,fried snack pellet machine,potato pellet snacks,snack food pellet,snack pellets machinery, snack pellet fryer,3d snack pellets machine, 3d pellet machine ,please contact mr.peter saixin machinery welcome you visit our machines!